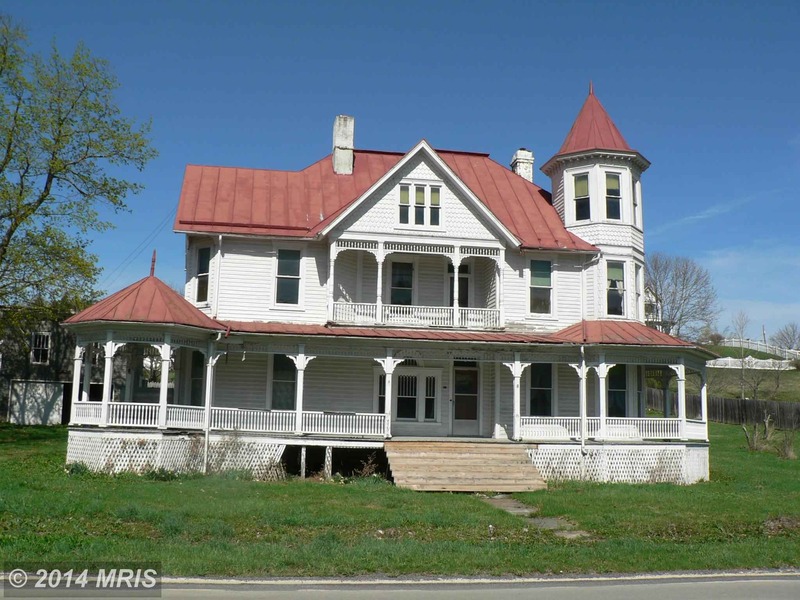 Elegant 3 story Victorian Home located in the historical district of quiet community, Franklin. Over 3800 sqft of living space with a library, formal dining and oversized bedrooms. 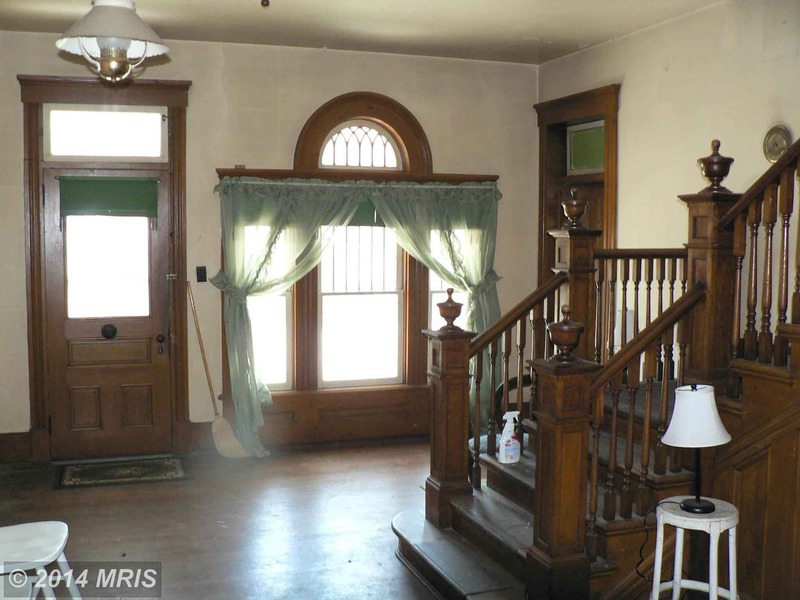 The charm of the past can be found in this home that was built in 1905 in the craftsmanship of the 20th century. 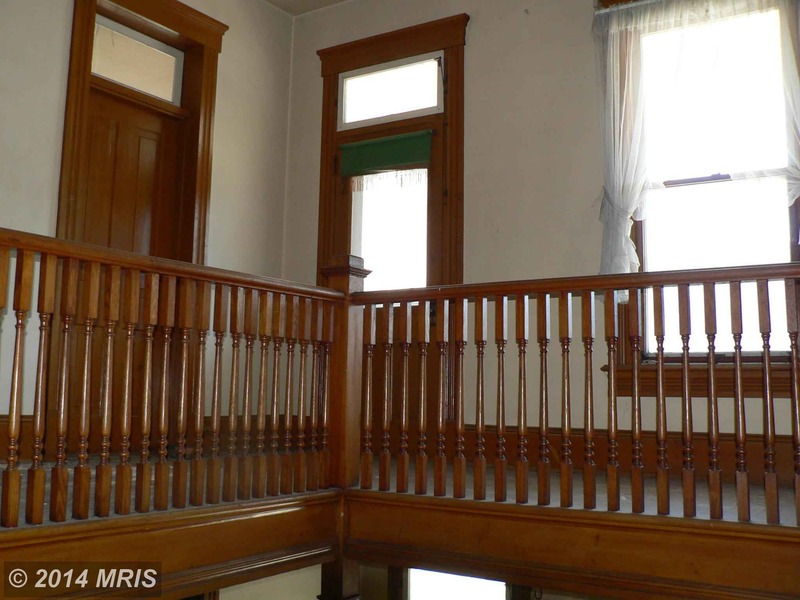 Don't miss this rare opportunity to own this home that is on the National Register of Historical Places. What a big ol’ beauty! Slap a few colors on her and she’d be even better! This house looks like a large family lived here for many years, its a little worn around the edges, but would really bloom with a little elbow grease and some paint. Painted with a nice 4-5 color paint job, you would be the talk of the town. Looks very familiar – a Barber maybe? I was wondering the same thing. Hopefully Chris will see it and let us know. Perhaps a Barber although I don’t see alot of the Barber tell tale signs. But the house up the hill in the picture I would almost definitely think a Barber. I’m distracted, though, by the big house up the hill. Were someone to film (yet another) Bates Motel/Psycho, and the old Second Empire house of film fame were to be unavailable, the place on the hill seems a more than acceptable stand-in. All in all it looks to be in reasonable shape. The right paint job outside and a revamp on the inside (making sure that all the original woodwork, etc remains) and some lovely gardens and trees would make all the difference. Yes excellent point do not paint over the wood work hate that!!! 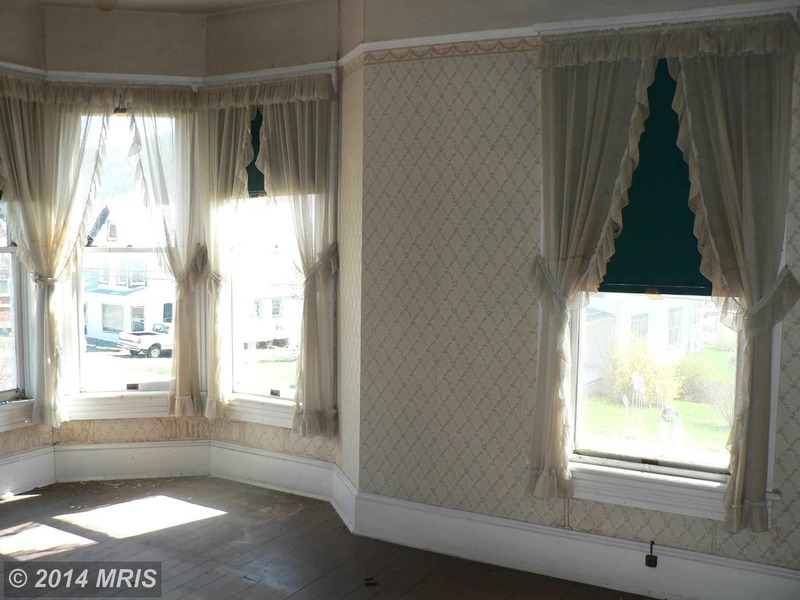 Yes, this house is certainly a Barber design. 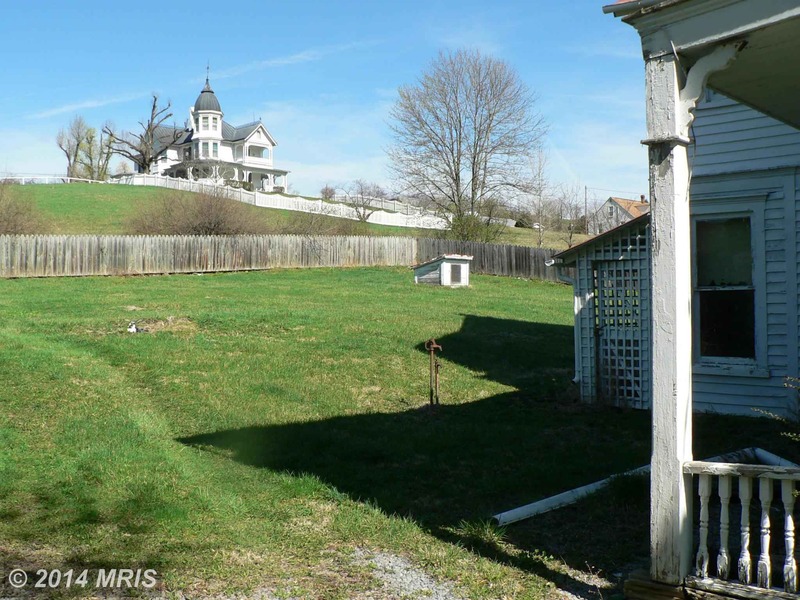 I am nearly certain that the house on the hill is another Barber example, as well. The previous commenters are right, a little TLC and an appropriate paint job would make this place the showpiece of the town. Charlotte, thanks for posting your comment on OHD. I have been doing research and documentation on the architecture of George F. Barber, for many years now, and I would love to talk to you about it, if you are interested. If so, please feel free to email me at crdimattei@gmail.com, so we can converse directly. Thank you. Thanks for clarifying Chris. I was just wondering if you may be able to tell me what architectural features from the outside would tell me this is a Barber? I’ve studied him quite a bit, but still nowhere the expert you are. Thank you. Lynn, that is the question I am asked the most, but it is a difficult one to answer, because it is not necessarily which features make a house a “Barber”, but how those features are used in the design. Because Barber designed in the late Victorian and early Colonial Renaissance eras, he often utilized design elements that were typical of the time period. But what makes any house a Barber designed house, is how those elements were organized and applied to the layout of a floor plan. Perhaps the most important factor though, is if the built example has any level of congruence with one of Barber’s published designs, which is the case in this example. I hope that helps. Thanks for the enlightening explanation. The frequent Barber design discussions are more comprehensible to me now. We own her sister in Suffolk, va. We adore ours!!! Deborah, I would love to learn more about your home in Suffolk, that matches this design. Can you email me directly at crdimattei@gmail.com, so we can continue this conversation? Thanks. 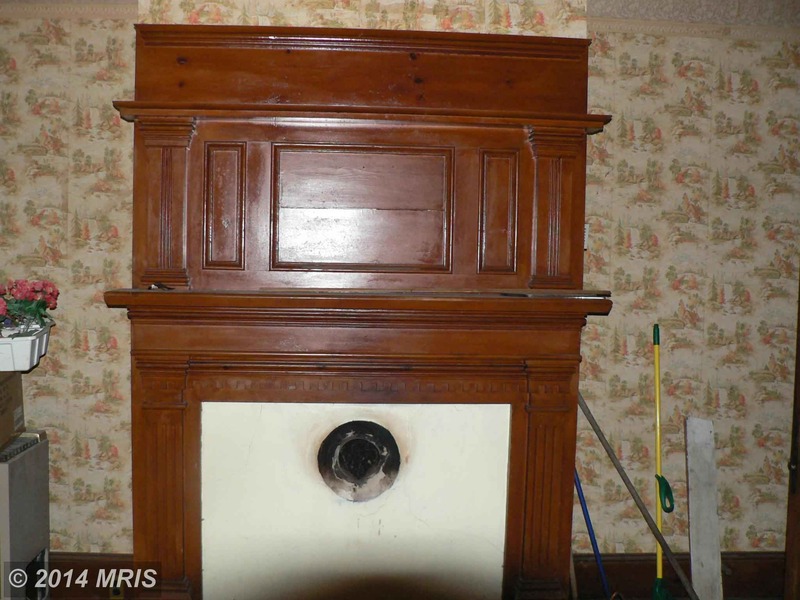 I’m curious why I see so many of these older homes where the fireplaces have been closed up except for the chimney of a wood stove? Is it more energy efficient? Wood stoves are more efficient than fireplaces. 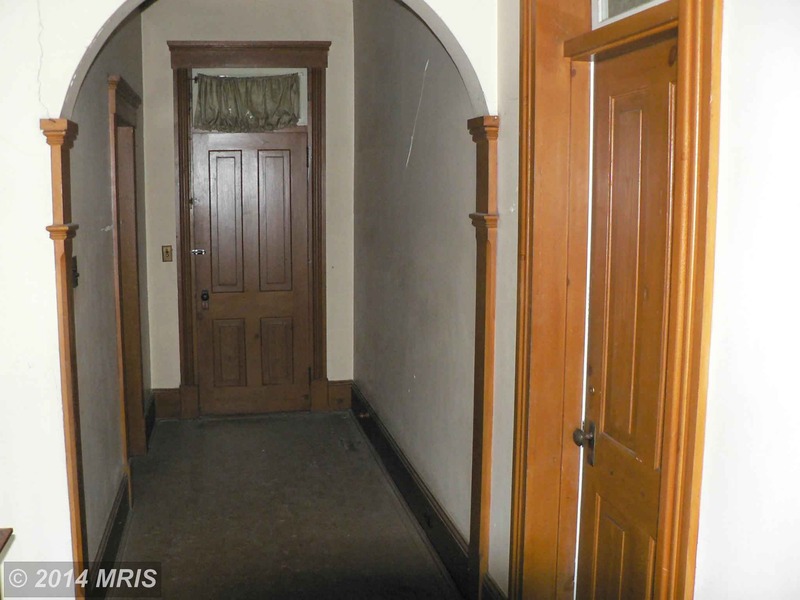 Are those arched doorways original/typical? I have never seen ones like them. I can see myself living here. A new paint job, on the outside, with some attention to the porch. A little paint and better wallpaper on the inside. 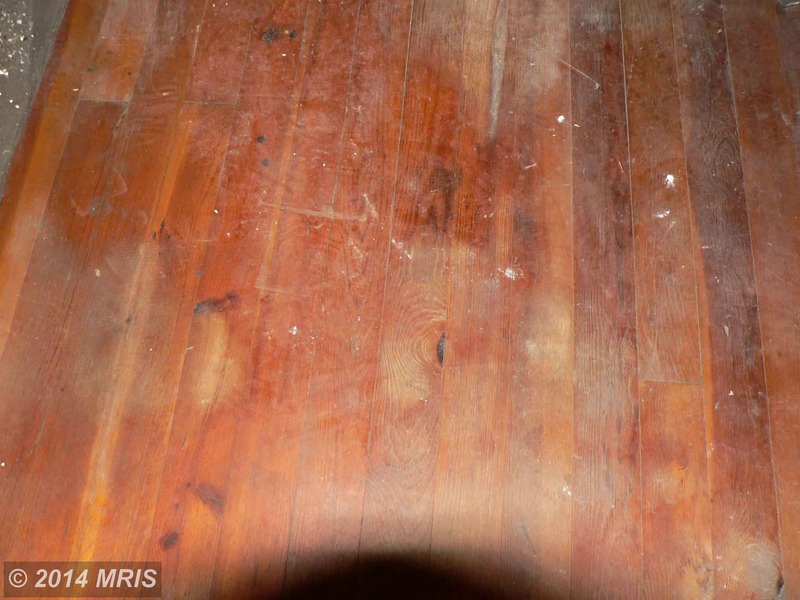 Shine up those floors, hang new curtains and give the place a good cleaning. Big garden, fruit trees and flowers in the yard. It would be a beautiful, livable, house. I’d be in Heaven!! 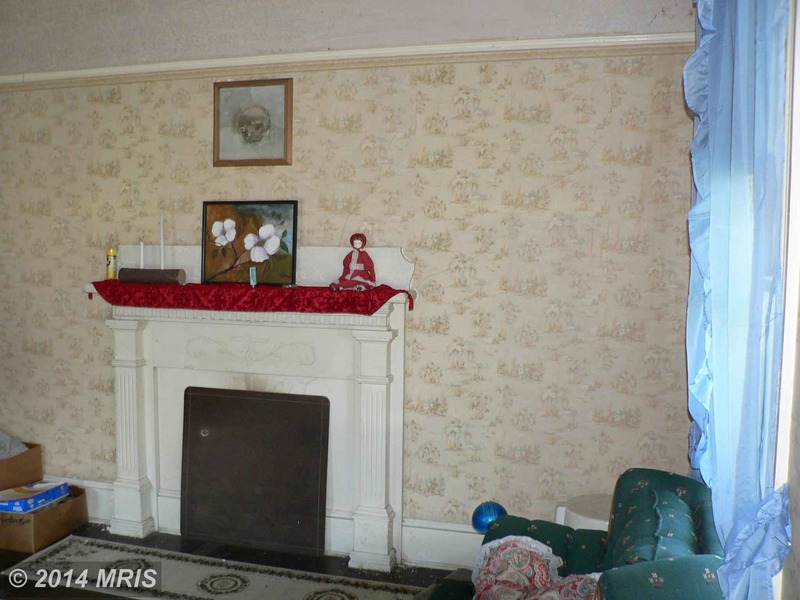 Fireplaces- it’s the mortar. Decades old mortar in the chimneys is a fire hazard. This is a pretty house. It does need some color outside and inside. The wallpaper doesn’t look appropriate to me. The woodwork is beautiful. Posted 2014 so comments above are older. Just reduced to $149,000 so moved it to the front page. Sorry to have to disagree with those who want to paint the exterior in a 4-5 color combination. I love these old Victorians in all white, which is exactly what I would do again with this one! I’m wondering what the kitchen looks like? 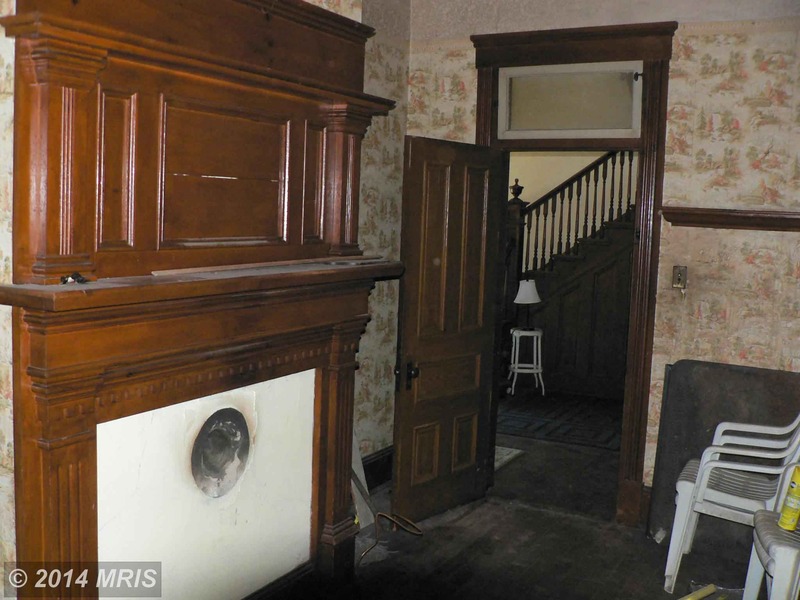 Hopefully there are some of the original cabinets and sink! I don’t mind the white either, you are not alone. I love all white also against a green lawn. Throw in a red brick courtyard and I’m in love. There are different shades of white, so you could have “different” colors that way. 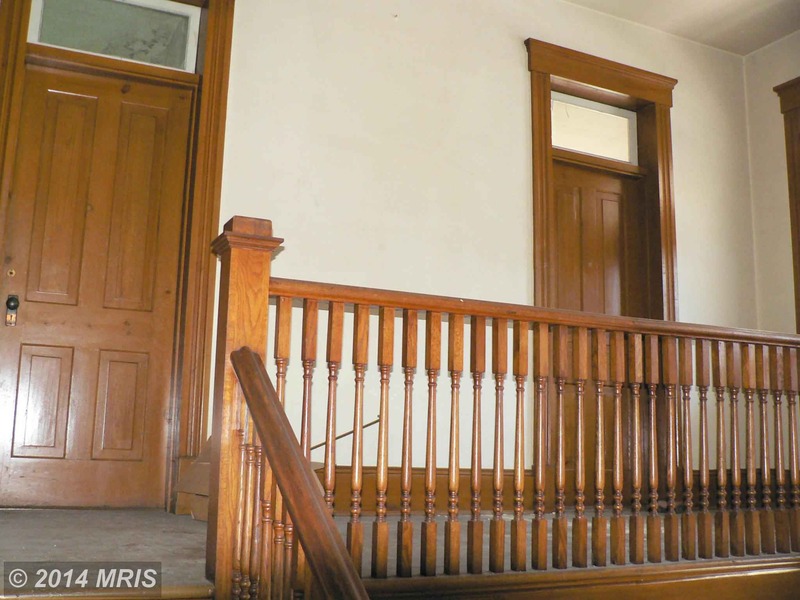 Take a look at Selma Mansion Rebirth, there are 2 different shades of white on the outside of the house. I love the house on the hill !!! 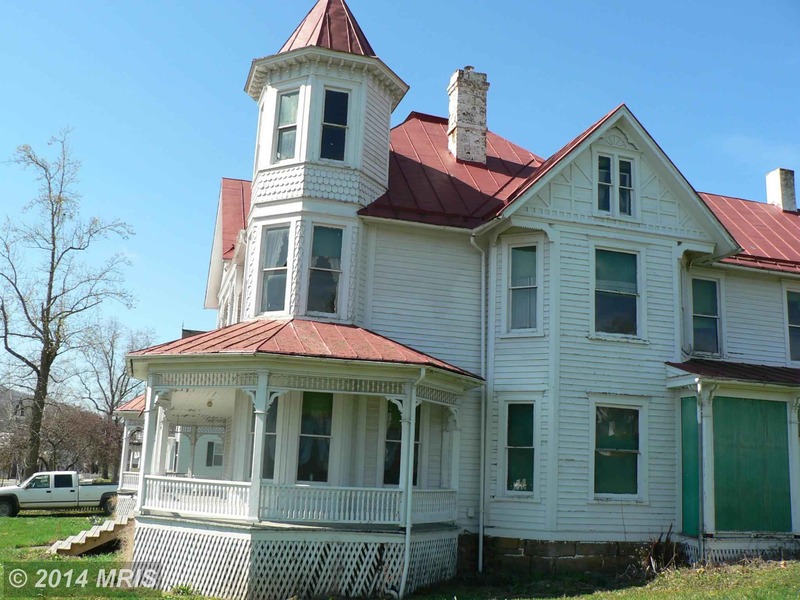 The house I grew up in – a folk Victorian with some Gothic revival elements built in 1870 – was all white (with black window frames) all the time that I knew it. Several years ago when I saw it, the new owners had painted it in three colors. It looked all wrong to me. All white with black trim is definitely the classic way to go. I don’t think the multi-color paint schemes got underway until the 1990’s. White house with dark, dark green shutters and black trim is my input. 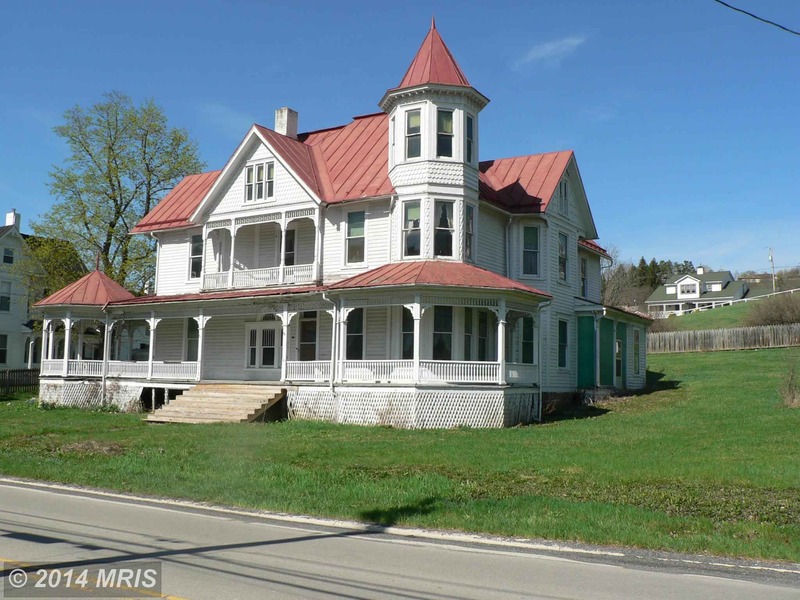 This is an impressive house from the towered Queen Anne family but its rather plain interior accords with the simpler interiors replacing the ornate versions from the 1890’s as the 20th century progressed. 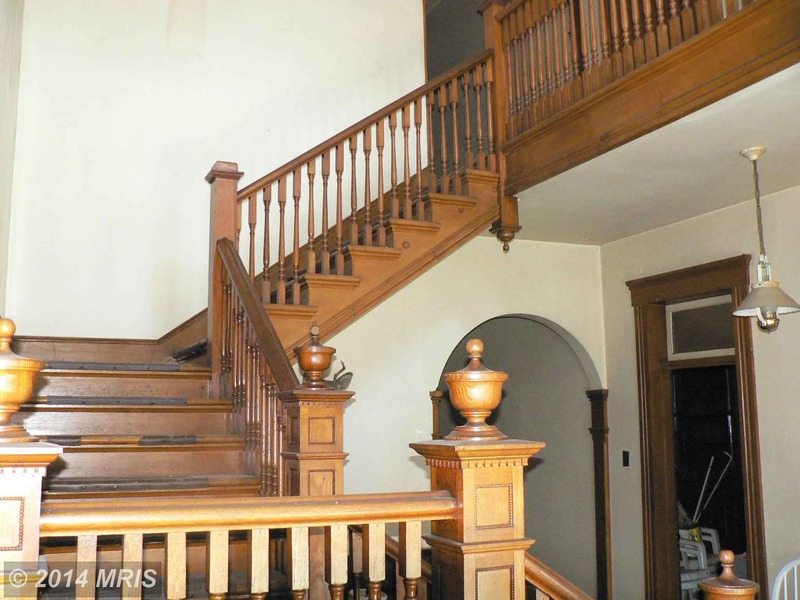 All the millwork elements both inside and outside could be readily ordered from millwork catalogs of that era and shipped in by rail. 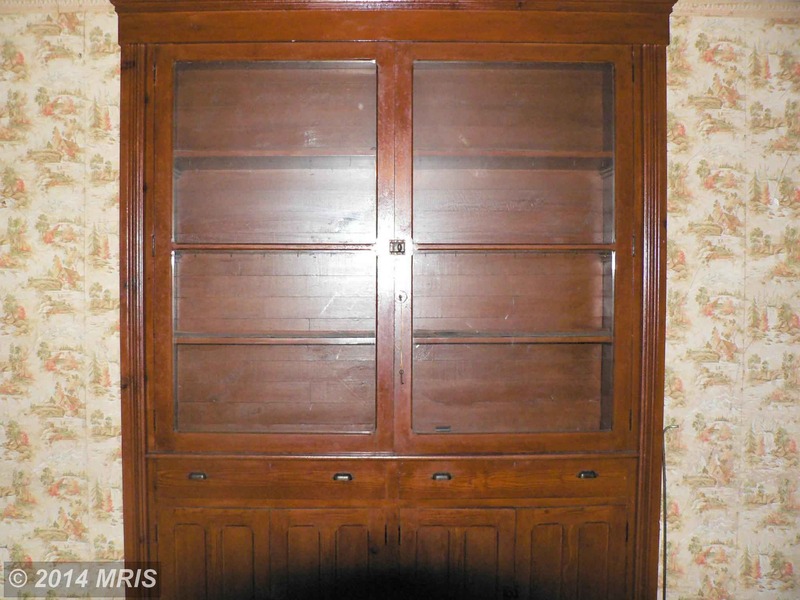 I find it interesting that there is no evidence of art glass (stained, leaded, beveled, or wheel cut) so despite its George Barber design provenance, it’s rather plain inside in many respects. I think there was once probably a decorative square balustrade on the flat platform at the peak of the roof and some of the ornamental details on the side gable are visually lost in the sea of white paint. Like many others, I find the house sited higher up on the hill intriguing and it seems to have a familiar Geo. Barber porch pattern with distinctive arches. Word of mouth and customer testimonials helped to market Barber’s house plans so that in some towns multiple examples of his designs appear in close proximity. As I recall, on Poplar Street in the small northern Texas town of Honey Grove has several extant (five?) Barber designed houses. Finding that there are two Barber designs here would therefore not be surprising, The Knoxville, TN, architect advertised house plans by mail in many of the popular magazines of the day. George Barber also made it easy to modify and customize his published plans for his clients so that added to his customer appeal. Gorgeous home, just need minor cosmetic touches, nice street! Right across from the library! Perfect!! 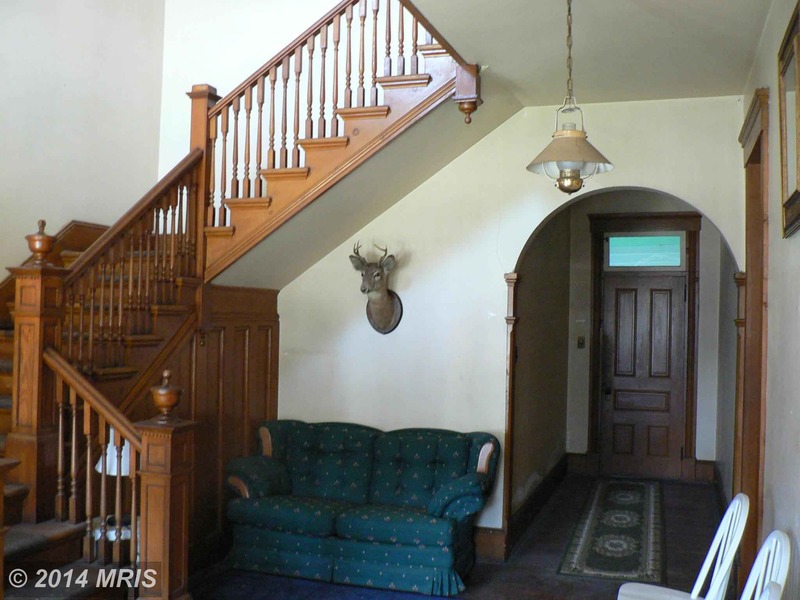 Was just ogling this one on Zillow a few weeks ago! Alas, partner has no interest in trekking back over the mountain every day to work in VA. I have a colleague who makes the trip though, so it’s not unheard of! I’m entranced with the transoms! A little TLC and this grand lady will be the belle of the ball, what a great street too!!! So many nice details on this house, both inside and outside! I wish my health insurances had coverage in that state. All the best homes seem to be in states not covered, so I cannot seriously consider them and can just admire instead. Darn. For some reason, I feel deja vous with this house and the one on the hill. I know! It was pending sale once or twice but always goes back to “Active”. I didn’t see it noted anywhere in the comments above, but the price is now $129K.